It’s not a fun task, but it’s a necessary one! 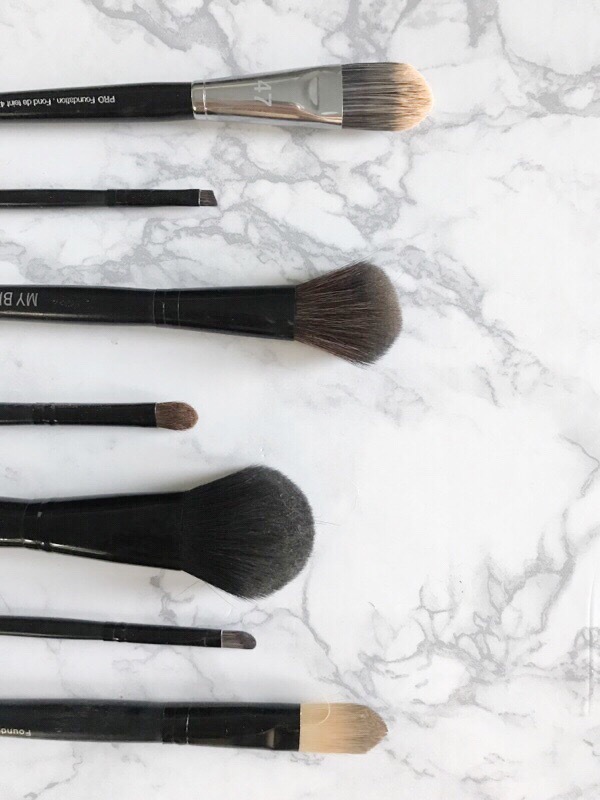 Cleaning my makeup brushes is always a dreaded task for me and I have no idea why. It takes me all but 15 minutes and is so SO beneficial. I really need to get into a better habit of just doing it (I’ll touch on that later though). Here are some tips that will make your cleaning process easier and hopefully cheaper! 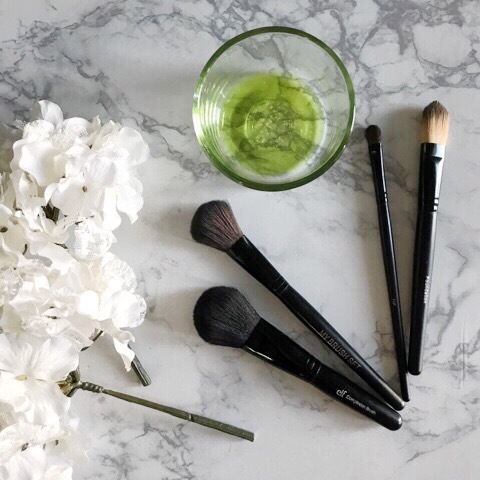 Feel free to skip out on the specific cleaners out there on the market that are dedicated to cleaning makeup brushes. There are much cheaper alternatives that you most likely already have! I use a mixture of dish soap and just a dash of extra virgin olive oil. The soap will sanitize your brushes while the oil will keep the hairs/fibers of your brush moisturized and prevent them from splitting. I have been using this concoction for a few years now and love it! No use messing with the big name brand cleaners that are way more expensive. When you are sink washing your brushes be sure they are always pointing down. If they are facing up, you’ll get water into inner parts of your brushes and upsetting the glue. You’ll find more bristles will start falling out and your bristles may even become deformed. Just always make sure the bristles are pointing down while washing and you’ll avoid any problems! Sure the cute little glove or insert you clip in the sink that makes “washing your brushes a breeze” looks cute and every Instagrammer has them; but, you really don’t need this. (Unless you have like 40 brushes to wash then, in that case, you do you booboo!) The natural grooves and curvature of your own hand works just the same and the textured mats. More money saved! When you’re all done washing, be sure to lay them out to dry before setting them back upright. I like to elevate the handle of my brushes to even further prevent any water from settling inside the brushes. It helps dry them faster and ensures the longevity of my brushes. Win, win! 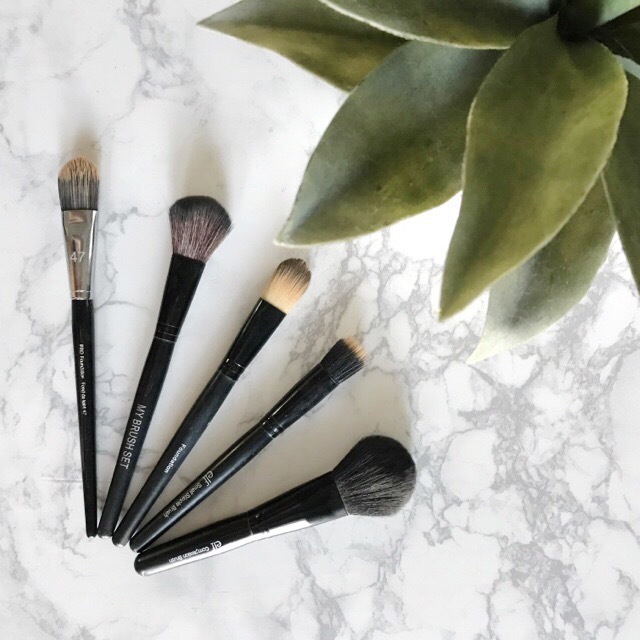 Leave me a comment below and tell me if you’re better at remembering to wash your brushes than I am! I always forget to wash my brushes and I always postpone. I don’t wear make up much so, I tend to forget these things until I need to use them again. Then I start stressing on how to wash and dry fast. Nice post dear. these are helpful! I never thought to schedule the wash before but it makes sense!